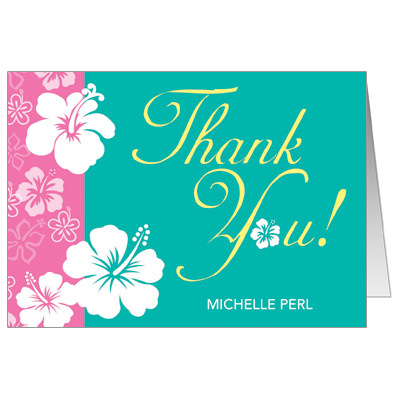 Say 'Aloha' and welcome your family and friends with a taste of the tropics. 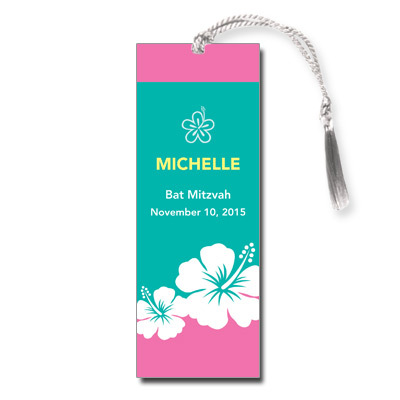 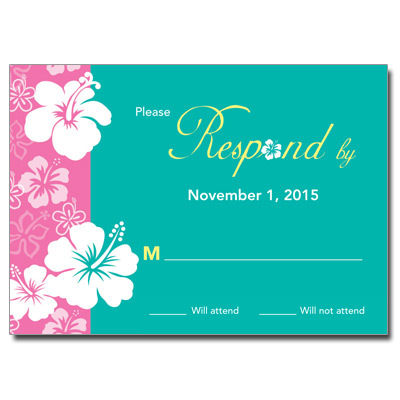 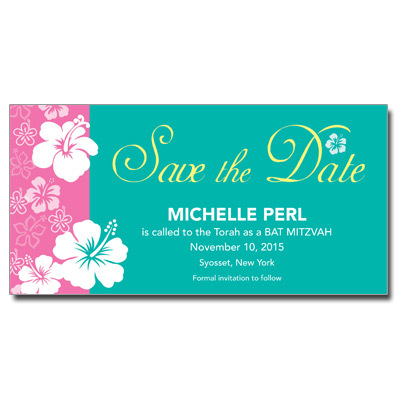 Printed in seafoam green and pink and accented with lush hibiscus, these invitations are a sure way to enchant your guests to a tropical beach or luau theme Bat Mitzvah party. 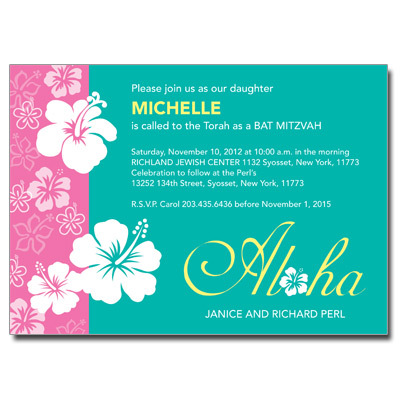 Card measures 7x5.